Josh Kane hits the course on Pandemonium for the Pro Ski Race at Purgatory. The area will close for the winter season after Sunday. The ski areas all get prettier ... at closing time?Sorry. Wrong song. But for diehard skiers and riders, lift access at resorts grows in appeal as it shrinks in opportunity - exponentially in the spring, of course. That means Purgatory is looking good. Wolf Creek is looking good. And Taos is looking good. Silverton, looking very good, will continue to run its lone chairlift well into the spring riding season, well beyond next weekend. But closing day is just around the corner at Purgatory, Wolf Creek, Telluride and Taos, among others. Sunday will be the final day of lift-served operations at Purgatory. Telluride, likewise, will close on Sunday with the final day of lift operations. Closing day is Sunday also for Taos, which will mark the end of the season with the annual Pond Skimming Championships. Purgatory's final days of operation will include lifts 1, 3, 8 and 9 and new snow last week. All of the resort's trails are open with spring conditions reported, especially at the base of the area. Skiers and riders are urged to be aware of the spring conditions, including thinning snow at the base area. Wolf Creek's regular closing will be Sunday. Operating hours at the resort are 9 a.m. to 4 p.m. all this week. Saturday is College Day at Wolf Creek, with a $31 lift ticket with a valid college photo ID card. Sunday will feature Local Appreciation Day pricing with $31 lift tickets for adults and $18 tickets for children or seniors at Wolf Creek. No ID is required for the Local Appreciation Day pricing at the resort. Wolf Creek also is scheduled to reopen on Saturday and Sunday, April 11-12, with the familiar locals pricing. The Horseshoe Snowcat Shuttle will run on April 11 and 12, depending on conditions, resort officials said. Midweek snow depths were over 100 inches at Wolf Creek. Telluride will shut down for the season after Sunday. Lift hours at Telluride are 10 a.m. to 5 p.m. all this week. Telluride received 27 inches of snow from the last storm, spread over seven days. Daily grooming reports for Telluride are available online at the Telluride Web site. Daily updates also are available online for Purgatory and Wolf Creek. Silverton, the expert-only area, is scheduled to operate through April 19. Additions to the Silverton operating schedule will be posted online at silverton-mountain.com. 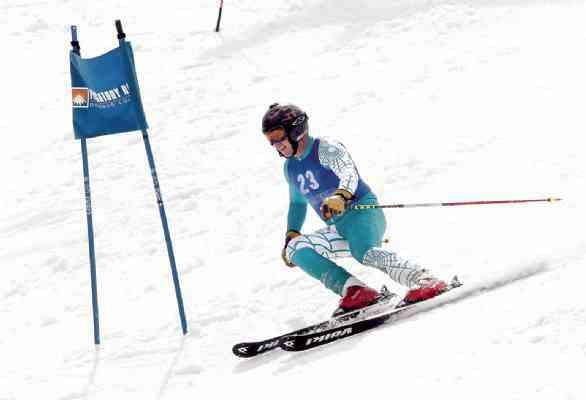 Unguided skiing and riding is scheduled to return to Silverton today. The unguided option will continue through April 19. Guides are available for those wanting guides. Guides can take skiers beyond the non-guided boundaries at Silverton. In New Mexico, neighboring resorts to Taos closed last weekend, including Angel Fire and Red River. In Colorado, many of the ski areas in the Northern and Central Rockies will stay open beyond next weekend. Vail, for example, has set a closing date of April 19. The Aspen-area resorts of Aspen Mountain and Snowmass will be open until April 12, with additional weekend openings possible. Many Summit County areas also will be open through April 19.